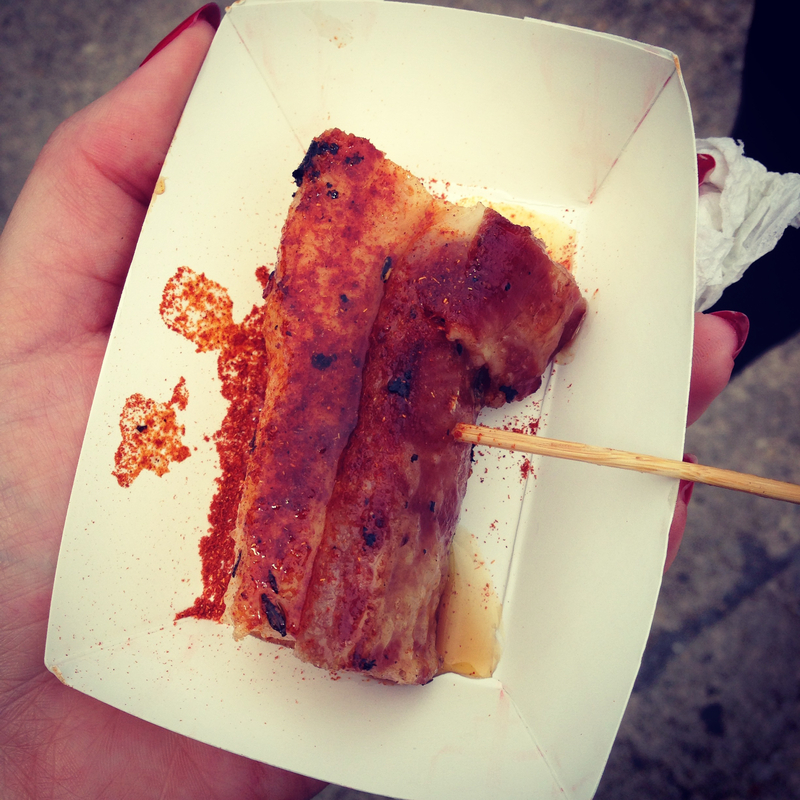 Smorgasburg is by far heaven on earth for people who love food. There are bite sized/full sized eats along with vegan/gluten free options. A list of the food vendors is on the website. It’s very overwhelming at first, so it’s a good idea to get there early and get a game plan going. You really do need a game plan though, especially if you plan on stuffing your face and getting as much food as possible. 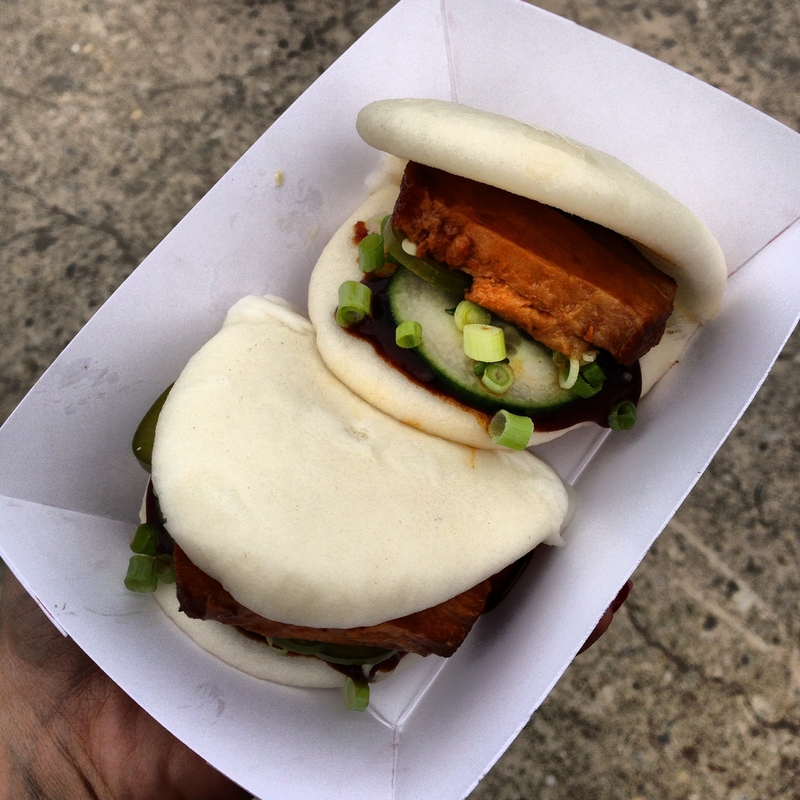 I started off the Smorgasburg visit with these pork belly buns and they were amaaazing. It came with braised pork belly, cucumbers, scallions, hoisin, and pickled jalapenos. It definitely had a kick to it! The bun was super doughy and soft and the crunch on the inside from the cucumbers and jalapenos balanced everything out. I need to try the others! After the day was done I wanted to go back and get more, but I was at capacity. Look at the menu for Bite Size Kitchen here. Bacon lovers only! This was sprinkled with paprika and topped with a maple glaze. I ate most of it, and it really was delicious, but there was a good amount of fat on there that I just didn’t feel like eating haha. But nonetheless extremely tasty! Check out Landhaus here! These noodles were phenomenal. 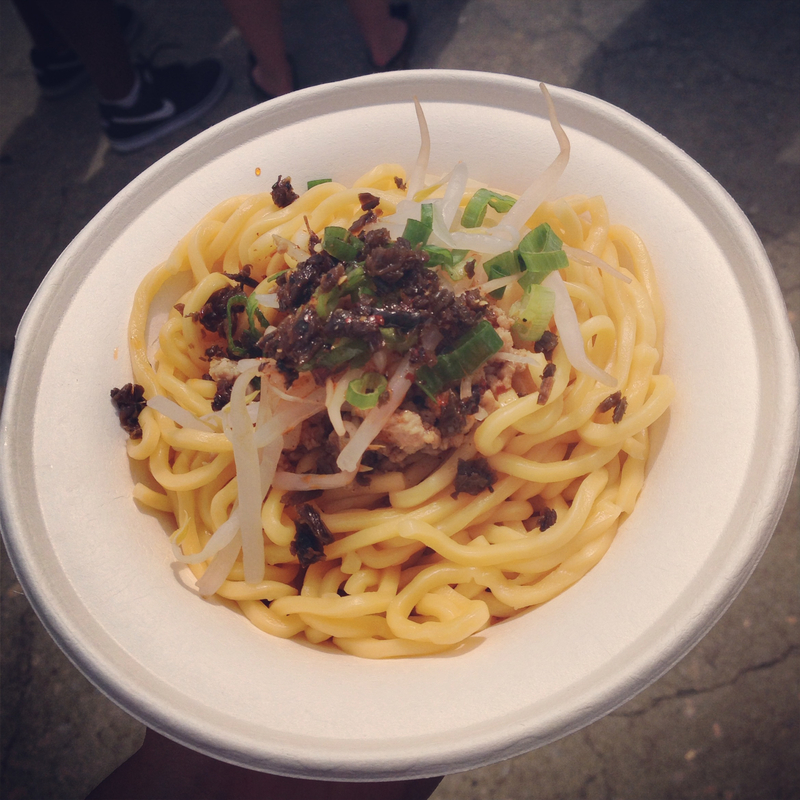 The dan dan noodles consist of egg noodles with savory sauce, pork, sprouts, scallions, veggies, and chili oil. You can get different degrees of heat such as mild, medium, hot and spicy. I got medium and I have to say it was a little spicier than I would have liked, but in no way did it affect it’s deliciousness. Another must have, the noodles go down so easily 🙂 Visit Noodle Lane here! Cocoa waffle cookie, Nutella buttercream, toasted hazelnuts, & chocolate ice cream. I mean obviously it’s good! 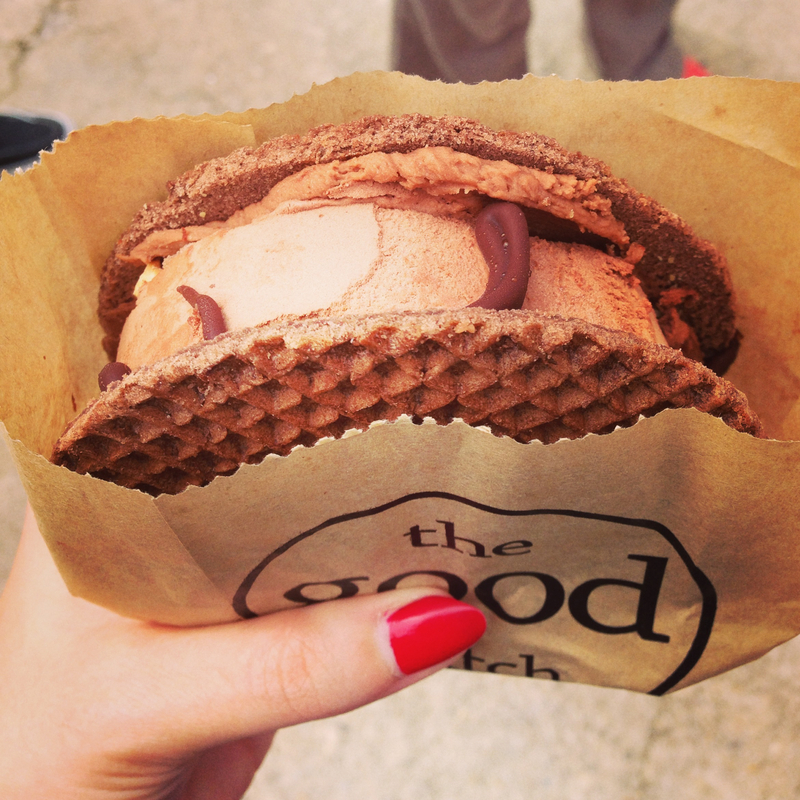 This cookie sandwich is the biggest I’ve had and did not disappoint. I just wish my stomach was as big as my eyes! Visit the Good Batch here! Overall, I’d say my first trip to Smorgasburg was a success! I was not disappointed with one thing, only the fact that I couldn’t get more! Next time I’m ABSOLUTELY having the Ramen Burger from Go Ramen, Red Hook Lobster Pound, Asia Dog, and Mighty Quinn’s BBQ to name a few… The line for Mighty Quinn’s was ridiculously long the whole time I was there. I’m going to have to go when it opens just to get a brisket sandwich because they’re obviously that good. 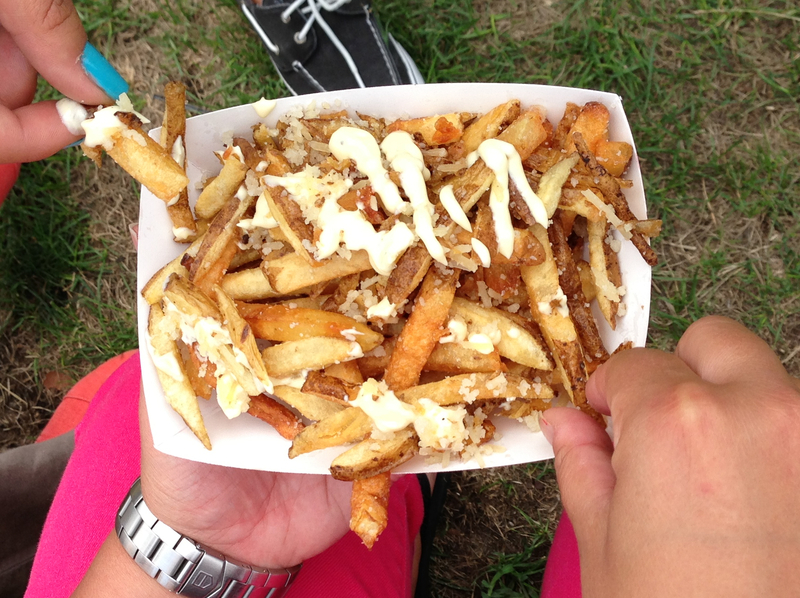 What do you recommend from Smorgasburg? This entry was posted in Brooklyn, Food Trucks, It's all cheesy and tagged a good batch, asia dog, Bacon, bite size kitchen nyc, bite sized kitchen, braised pork belly, brooklyn, cheese, East River, east river state park, food, food flea market, food vendor, Fried, Fries, go ramen, home frite, ice cream sandwich, landhaus, maple bacon, maple bacon sticks, New York City, Noodle, noodle lane, noodles, Nutella, parmesan truffle, pork buns, ramen burger, red hook, red hook lobster pound, restaurants, smorgasburg, smorgasburg williamsburg, truffle, williamsburg, williamsburg flea market brooklyn. Bookmark the permalink.